The Bethlehem Steel Company, and the Lackawanna Steel Company before 1922, was the site of the fiercest and most violent labor struggles in Buffalo history. Steelworking was difficult and dangerous, and wages low and hours long. 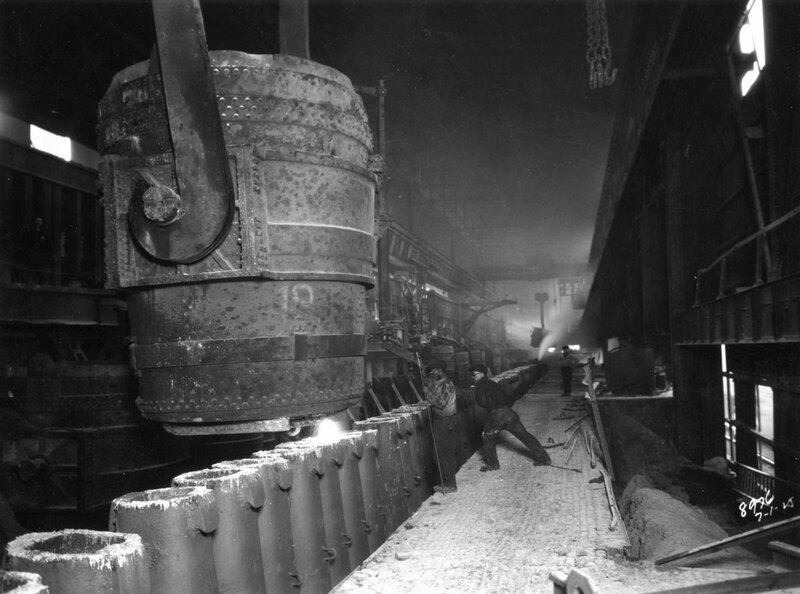 In this undated photograph by Hauser Bob, laborers pour steel ingots in the open hearth department. In 1941, the Congress of Industrial Organizations’ Steel Workers Organizing Committee (SWOC), later called the United Steelworkers of America, staged a successful strike that for the first time established a bargaining unit for Bethlehem Steel workers. It was the beginning of an era of union-management relations that would uplift thousands of working people into the middle class.